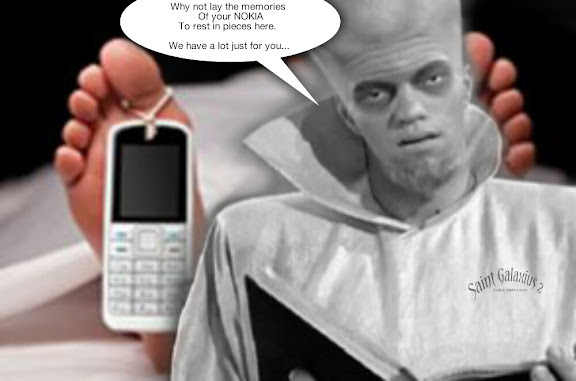 Juggy, you can always have a place to visit from time to time when you are thinking of'em....plant its memories here! Last edited by Rico ANDROID; 03-14-2013 at 08:36 PM. LOL ive dreamed of one of those in your post! ive never actually gotten to see one smaller than a credit card...you? This is the smallest one i ever saw in person...never used it, but I definitely remember it. 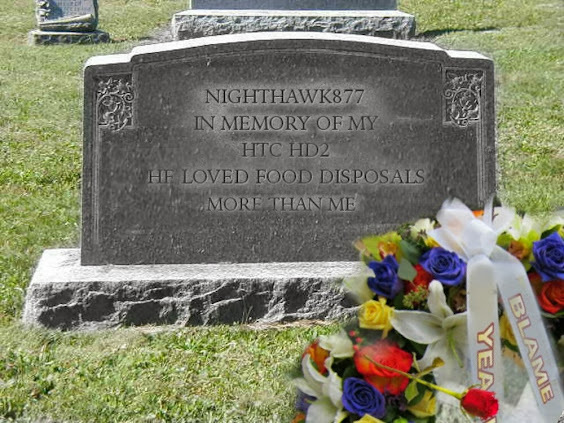 I'm using my HD2 as a Windows Phone at the moment, no need for a burial! 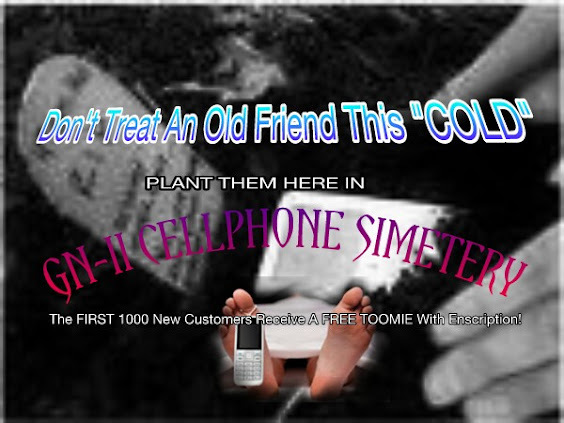 I never used a mobile until about 3 years ago, I hated them. My first phone was a Motorola C350 that my dad bought me for "emergencies" at the start of my teens. Remember thinking it was dead impressive with a colour screen. Did the job for a few years before I decided I didn't need or like having a phone. Only used to look and never have the impulse to buy mobiles, but now I need one for work and play, so when I outgrew my HTC I got the Note! Last edited by javakrypt; 03-15-2013 at 10:37 AM. i would still buy ome of those! A few toomies of old cellphones "resting in pieces" in various themed gardens in CELLPHONE SIMetery. Last edited by Rico ANDROID; 07-21-2013 at 12:39 AM. Are you telling me that these pictures are for real? 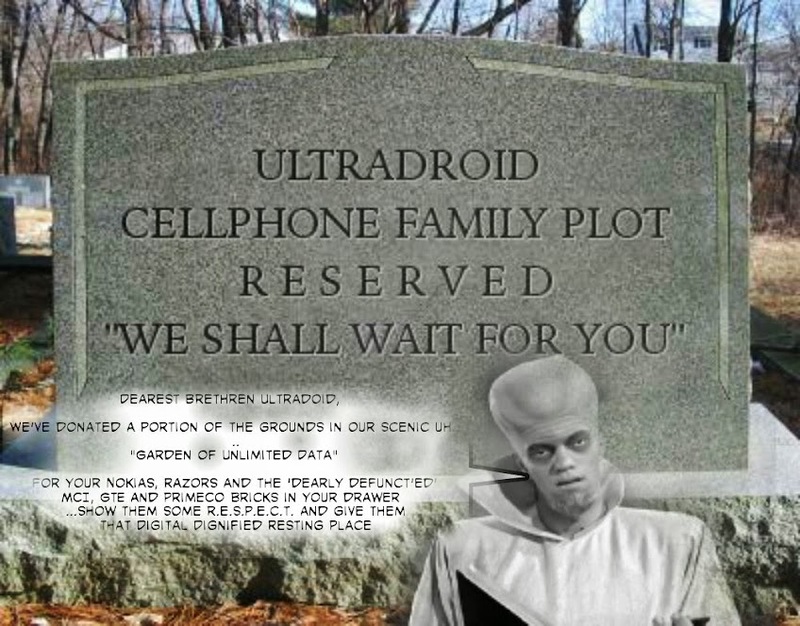 People actually buried cellphones in a plot of ground with a carved marble stone over them? That is crazy! heh-heh... and you KNOWWW I just did a "10-finger-discount" on that pic! Added to my 'stash"
Click HERE: You KNOW You owned One Of These! Last edited by Rico ANDROID; 07-21-2013 at 07:31 AM. UltraDroid and marthinollys like this.